Limited to 2K as of 5/21/2014. That's what we call pillow talk! 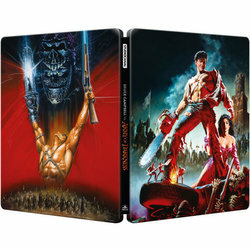 Now this is a release that I wanted, a cult classic, good to see they are using the great poster. "You can count on my steel." Groovy... hope it includes both cuts! Best exclusive yet by far! About time, hail to the king! Hope they will make it right. Can't wait for this Long awaited release.